Oh, our weekend was just the sweetest, and yesterday was seriously one of the best days of my life!! I cannot wait to share about our weekend, so let's get into it! Friday, we unboxed our February bow box, and it's so adorable!! More on this adorable box later!! Carson then had basketball practice, and then we met up with some friends for dinner. After dinner, we went back to their house, and while the kiddos played, I peeked the new Matilda Jane release! Oh em gee, it's so adorable, and I just can't decide what I want!! This wild woman crashed on the way home from our friends' house!! Saturday we were so stinking lazy all morning, and it was nice! We watched all the Premier Football League, and my Chelsea squad won big!! Then we headed to Carson's game, where I snapped no pictures (blogger fail), and then we visited with my grandparents for a bit! It was such nice time, until our favorite girl spiked a pretty high fever! Flu and strep tests were negative, but with her history they went ahead and started her on some medicine. She started feeling so much better once the fever broke! Sunday was a HUGE day for our family! our boy, Stephen, got baptized! I still tear up when I think about this moment! There was a day, not too long ago, when Joe baptizing our kids was just something I took as a guarantee, and then when we left ministry abruptly, I just assumed it wouldn't happen. When Stephen approached us about being baptized, and how it's an outward display of the inward change, Joe quickly got on the phone with some of our church leadership, and they were joyous with us! Joe had the privilege to baptize his first born, and now brother in Christ, yesterday, and it was the biggest blessing ever! We are so proud of our boy!!! Oh goodness, Stephen! You make us proud daily, but your decision yesterday is such an answered prayer! You have made us all so happy and proud of you, and I know God is going to do great big HUGE things through you. We, and so many we know, are praying for you, and boy, my boy, we love you so big! I'm telling y'all something...it was such a sweet day in our lives!! 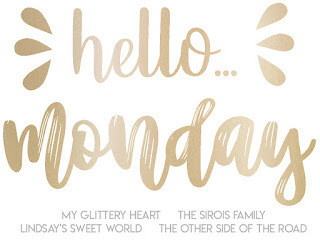 Happy Monday & God bless!! Brittany I loved sharing this special day with you and your family...God is so so good. Praying for Stephen. What a huge blessing that Joe was able to baptize him too. How special. What an amazing day! Such a special day that our family won't forget! How wonderful Joe was able to baptize him! Such a blessing. Glad Nataleigh is feeling better too! Have a great week. That is such a sweet day - congrats to Stephen and your whole family! 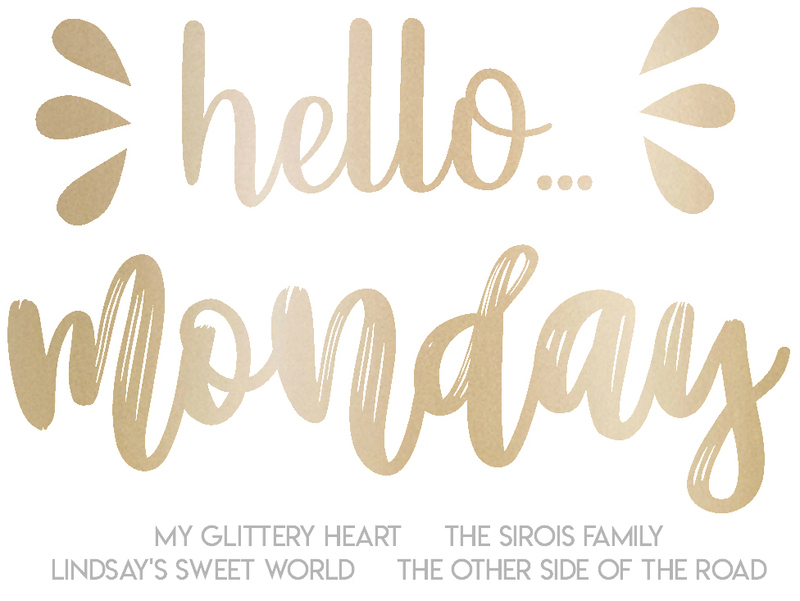 Hope you have a wonderful week, and thanks for linking up with Hello Monday! Thanks for hosting!! Love this sweet link-up group so much! Praise the Lord for his public profession of faith! What a joyous moment for sure, we rejoice with you! Praise the Lord for He is good!! Oh goodness! I'm going to have to message you a longer post later, but yes. We believe in baptism after salvation. Stephen decided that he wanted to submit his life to Christ, so then he followed the New Testament act of baptism. Our church doesn't do classes, but we know of many who offer "new believer classes." I'll send you more info.